In the world of a working band there is no greater constant than the road. 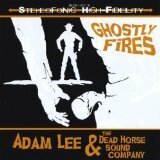 Few know this better than Adam Lee & the Dead Horse Sound Company, the Kansas City trio who put their original spin on that classic country sound. 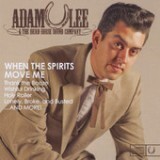 With the release of their sophmore album, 'When the Spirits Move Me,' Lee and company touch on many of the elements so familiar to their life on the road. From wild nights in far away towns, to barroom brawls and goodbye kisses, the band expertly explain their travelling life. All with the swingin' shuffles and country flair of your favorite 45's. But then again, winding highways and endless mile markers are something they know well.